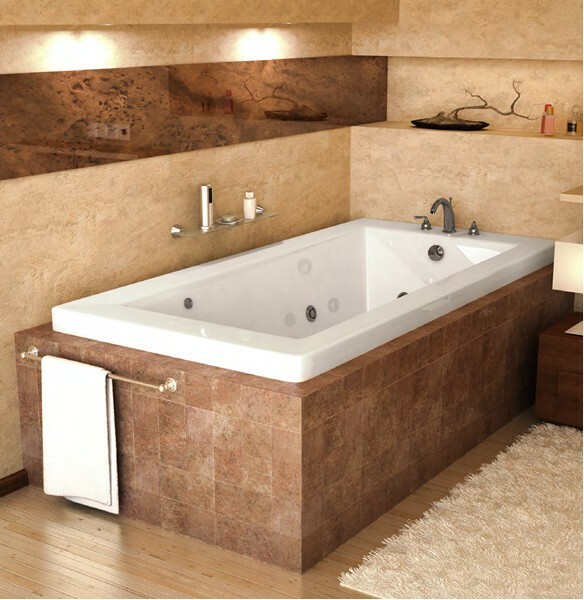 The Venetian 3260 tub is a popular Italian inspired tub with minimalist inspired lines for striking yet tranquil beauty. The Venetian comes in many sizes and boasts a pronounced lip with comfortable inclined backrests with plenty of shoulder room. Available as a soaking tub, air tub, whirlpool tub or air/whirlpool combination. Call 800-720-1062 for more details.